Hello ... Hello ... my old friends ... It's great to see you once again! Following on from their critically acclaimed first two albums "Ring Around The Land" (2010) and "All The Good Friends" (2012), elobeatlesforever (elobf) featured artiste Red Shoes have launched a new Crowdfunder campaign, as of Saturday 5th November, with the noble goal of funding their third studio album by Friday 30th December 2016 - which just happens to also be Jeff Lynne's 69th birthday! 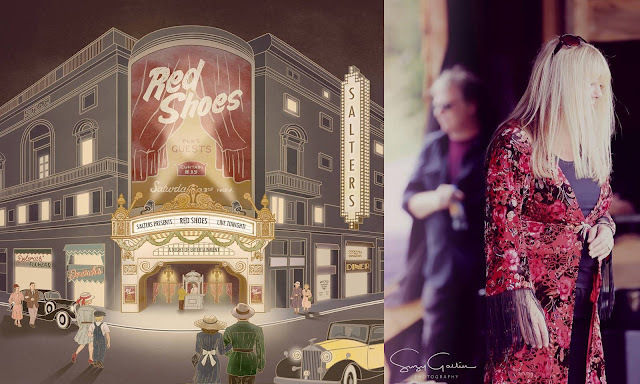 elobeatlesforever (elobf) recommends the Red Shoes album #3 Crowdfunder campaign to those enlightened folks who enjoy the music of ELO, Jeff Lynne, Roy Wood, The Move, The Idle Race, 'Brum Beat', The Beatles and related artistes.